We were beginning to wonder if we would ever have this view. Clean & shiny for the last time…on purpose. Our agent/broker really hustled, putting in hours and hours of work. Finally, on January 4th, our agent said we could clear our car through customs. It had taken 7 weeks instead of 4 to get our car after leaving it in Miami. Luckily, our lodging allowed us to add more weeks as needed. Our agent did all the talking for us at the port. We worried whether all our stuff would still be there and if it would all clear customs. As we went deep into the port facility we passed a line of cars that had EVERYTHING unloaded and spread out on the cement. Did we have to unload everything? Would customs allow the 50# bags of dog food? Would we need to pay bribes? Now…to pack it and fit it into the car for our move to Piriapolis. The customs man, dressed very official and carrying a clipboard slowly walked to our car – never smiling. First, he looked in the windshield at the VIN#. Then, at the door. He was bothered by something. Chris understood the confusion. He had to explain that the motor # and Chassis # are the same in the US – that is not the case in South America (we would end up explaining this at every border crossing). 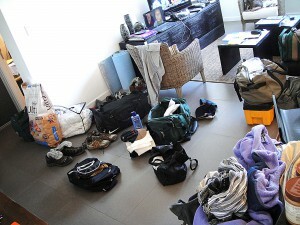 Next, we held our breath as he glanced in the side window – the back end was filled half way to the ceiling with stuff. He slowly walked the length of the car and, frowning, came to stand in front of us. The next moment he smiled, signed our release papers, and waved good-bye. We lucked out again! We paid our agent the $300. That was the amount we were originally told we would pay once we were in Uruguay. He actually deserved more for all the time he put into this. However, That was minor compared to all the other fees tacked on. 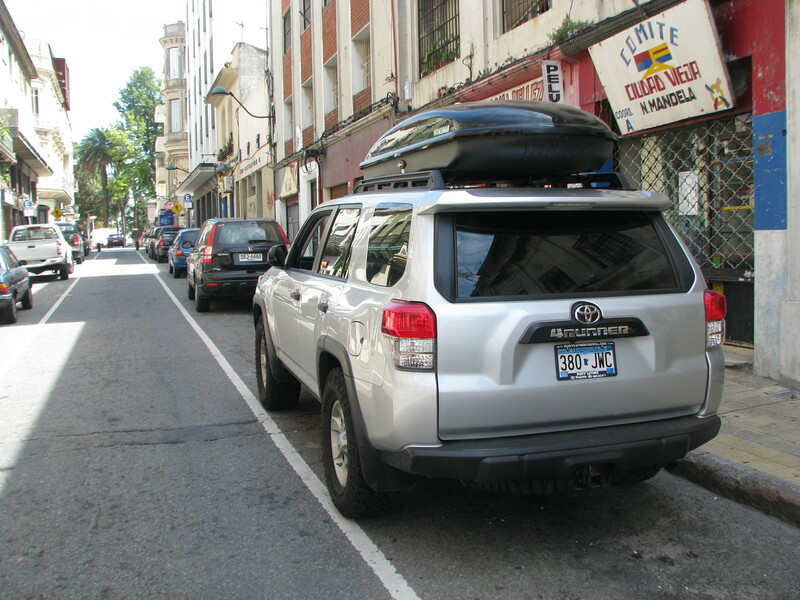 There were additional fees (to the port, to customs, and to others) bringing the total paid in Uruguay to $2000 – just to get our car released to us. Ouch! Then we bought car insurance, SOAT, for another $120. That brought our shipping cost closer to $5000. Keep that in mind if you decide to ship a car. I had the best Birthday!